Hot off of 16 nominations at this year’s Harvey Awards – including six for the industry’s most nominated series, Quantum and Woody – Valiant Entertainment is proud to join Baltimore Comic-Con 2014 for a weekend jam-packed with show exclusives, signings, and panel appearances from the most talked-about comic book publisher of the year! 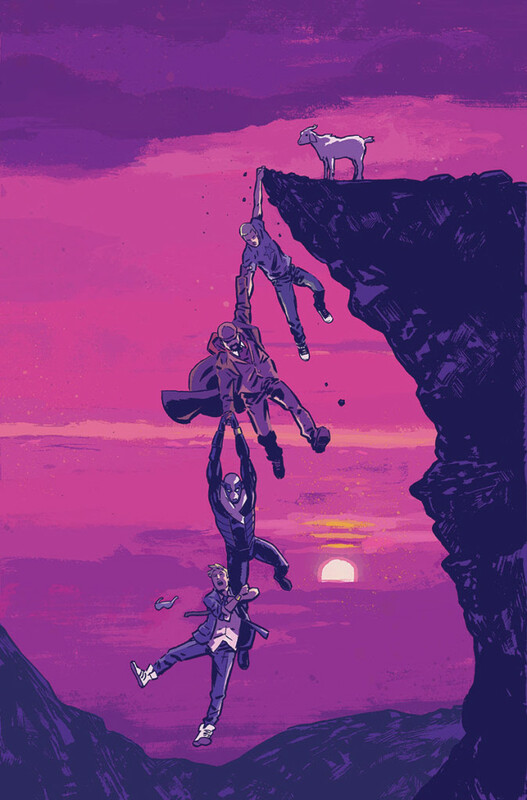 From Friday, September 5th through Sunday, September 7th, join Valiant at Booth #2008/2009 to pick up your The Delinquents #1 Baltimore Comic-Con 2014 Exclusive Variant by fan favorite artistMichael Walsh (Secret Avengers, Comeback)! Witness the beginning of summer’s most disastrous super-hero joyride right here as Harvey Award-nominated writers James Asmus (Quantum and Woody) and Fred Van Lente (Archer & Armstrong) and red-hot artist Kano (Quantum and Woody) collide Quantum and Woody and Archer & Armstrong for the crudest, lewdest, and most unsportsmanlike team-up in comics history! And that’s not all! Debuting at Baltimore Comic-Con 2014, discover the battle ten millennia in the making with The Valiant: First Look preview edition, featuring an exclusive, behind-the-scenes look inside the all-new, prestige format mini-series event from superstar creators Jeff Lemire, Matt Kindt, and Paolo Rivera. 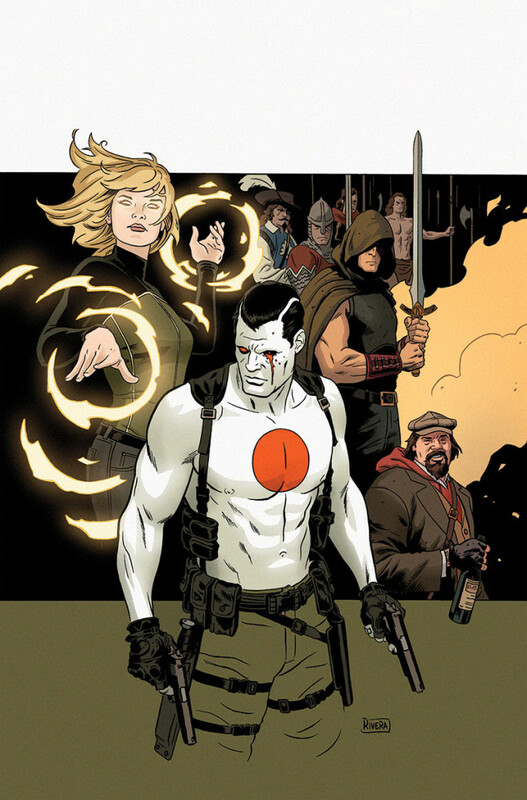 Packed with never-before-seen artwork, preview pages, and interviews, and featuring nearly every Valiant hero, do not miss your chance to find out why The Valiant is the astonishing new adventure that will be taking comics by storm this December. Plus: join Valiant for signings and appearances all weekend long from some of the top talents in comics today, including The Delinquents’ own James Asmus, alongside colorist Laura Martin (Armor Hunters), artist Rafer Roberts (X-O Manowar #25, Harbinger #25), colorist Brian Reber (Unity, Eternal Warrior: Days of Steel), writer Vivek J. Tiwary (Harbinger #25), and more surprise guests! Then, join an all-star panel of Valiant creators and staff on Saturday, September 6th at 1 PM ET for an in-depth discussion about the future of X-O Manowar, Unity, Rai, Harbinger, Archer & Armstrong, and more with writer James Asmus (Quantum and Woody, The Delinquents), writer Ray Fawkes (Archer & Armstrong: The One Percent), writer Vivek J. Tiwary (Harbinger #25), colorist Brian Reber (Unity,Eternal Warrior: Days of Steel), colorist Laura Martin (Armor Hunters), Editor-in-Chief Warren Simons, and Chief Creative Officer Dinesh Shamdasani, only at Baltimore Comic-Con!